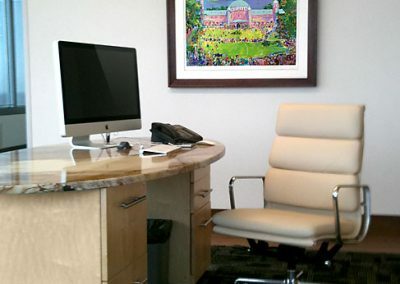 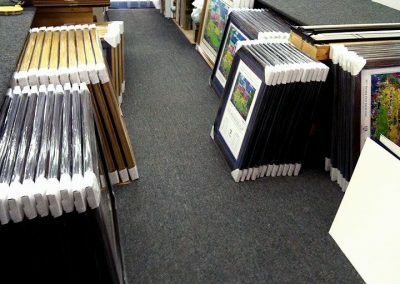 Whether your working environment is an office, bank, hotel or restaurant, Masterpiece Framing & Imaging can assist you in choosing the perfect artwork and framing to coordinate with your line of work. 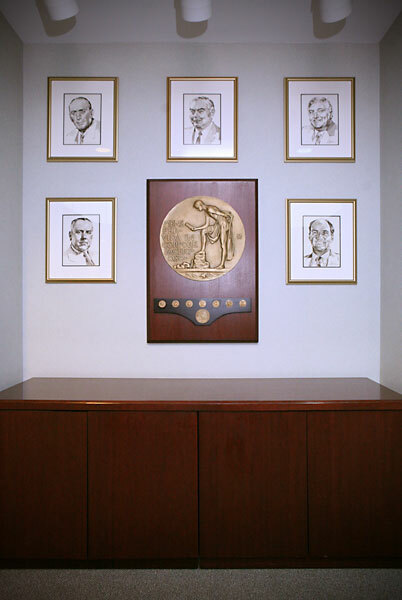 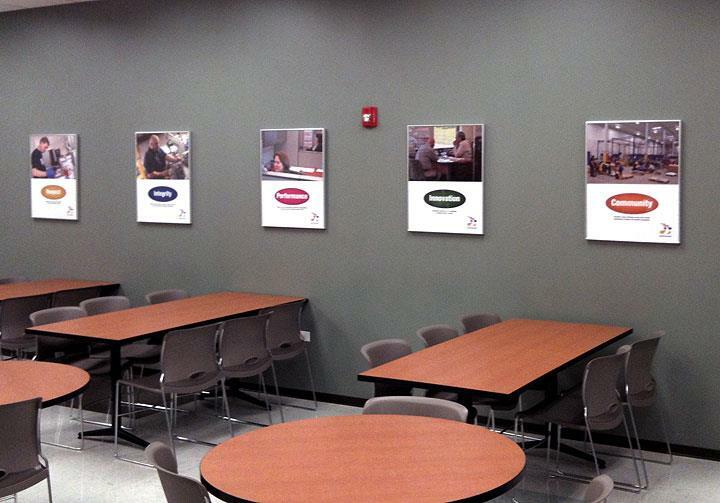 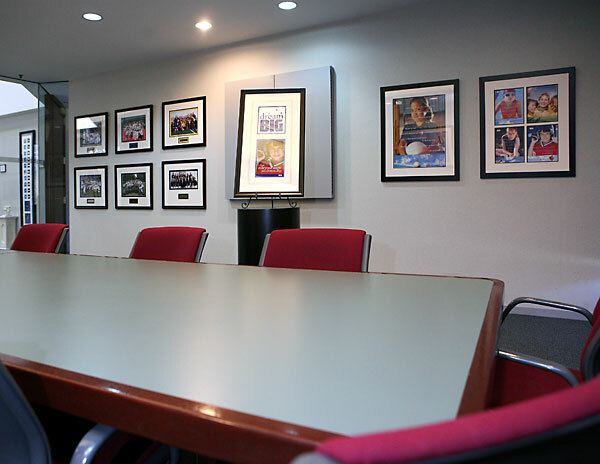 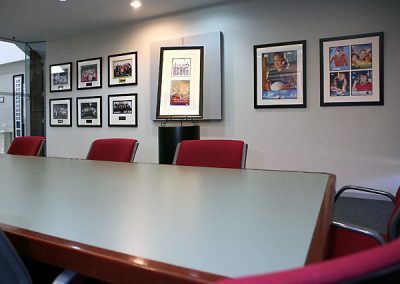 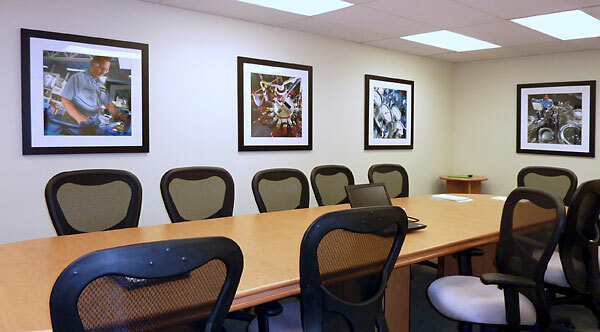 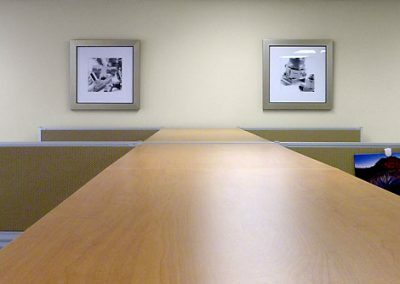 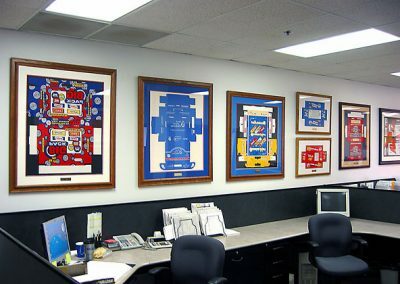 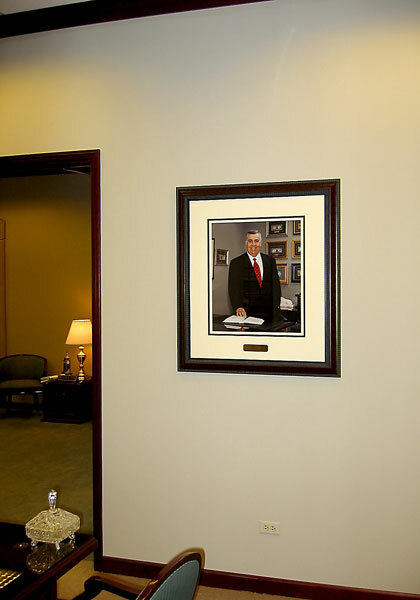 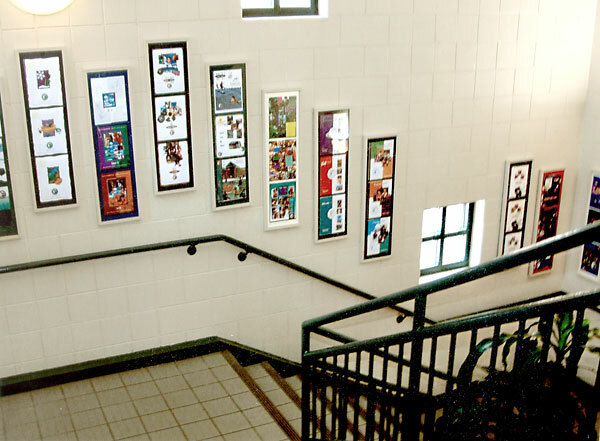 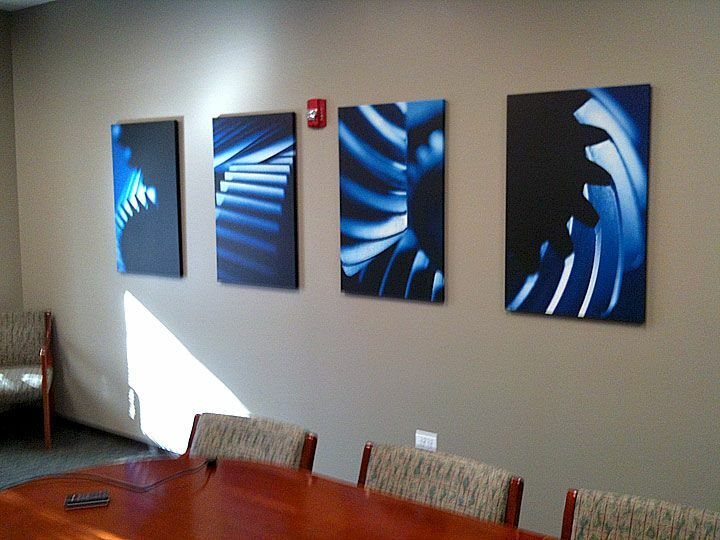 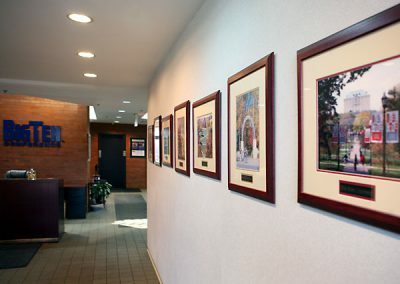 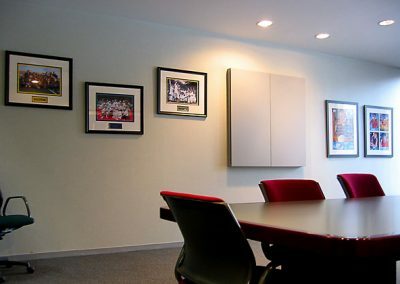 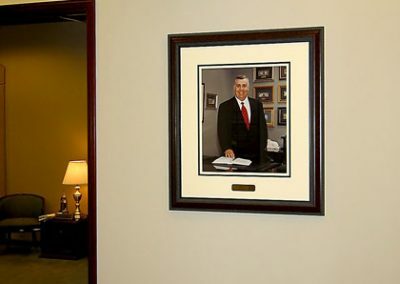 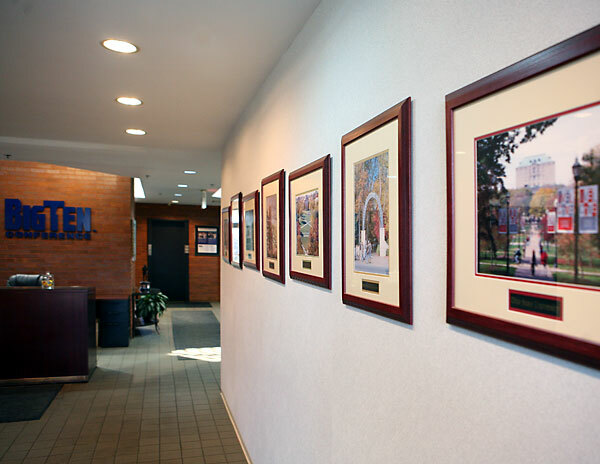 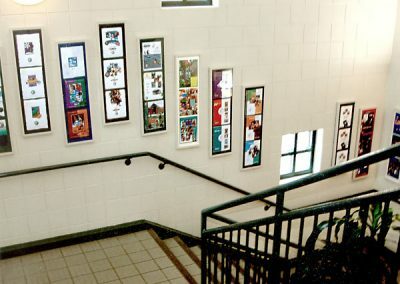 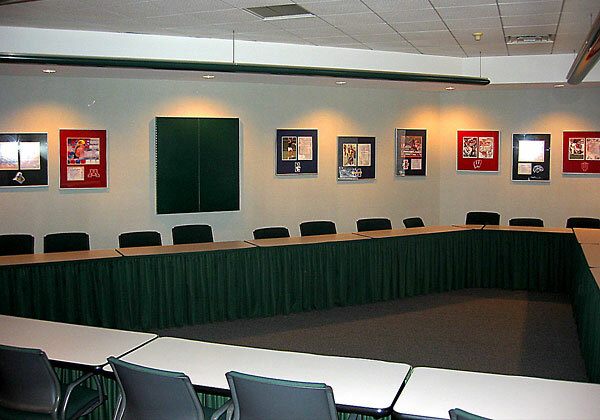 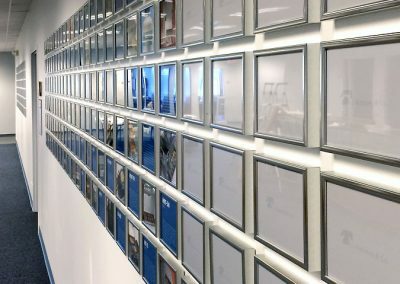 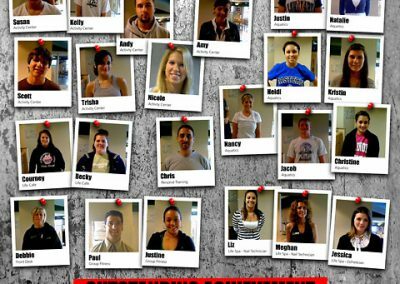 Our frames and wall graphics are proudly and prominently displayed in corporate facilities throughout the United States. 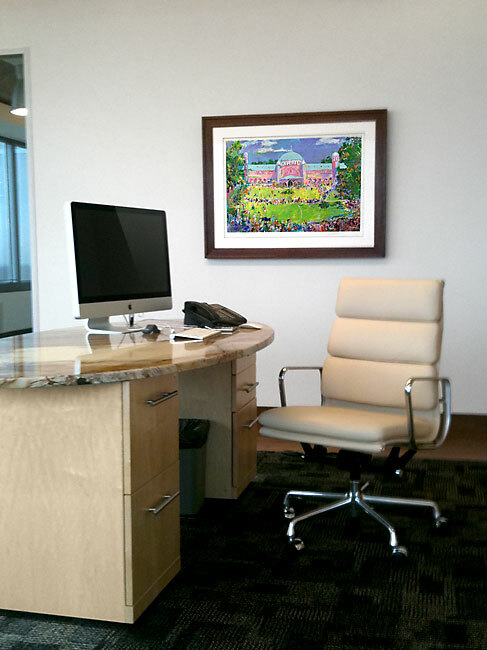 The service we provide is complete from initial art and frame selections to installation of the completed project. 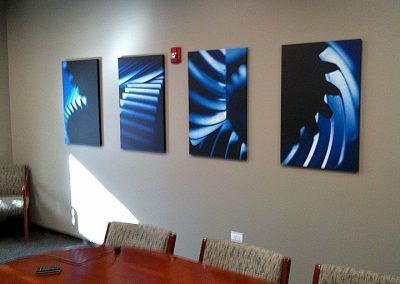 Maybe you just need to re-frame existing artwork, or perhaps you need new art and wall graphics to fill up those blank walls. 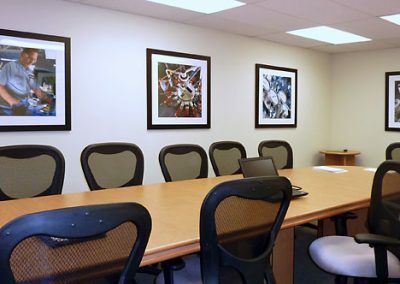 Whatever your situation, Masterpiece is equipped and ready to create a colorful and inspiring environment for you and your coworkers. 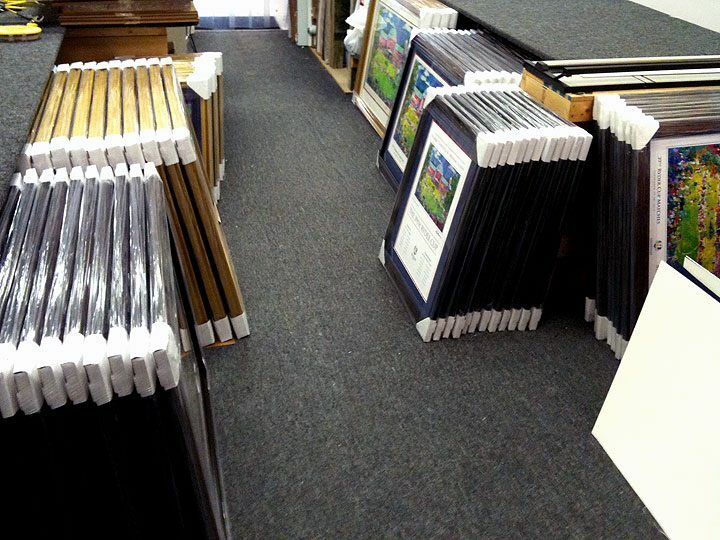 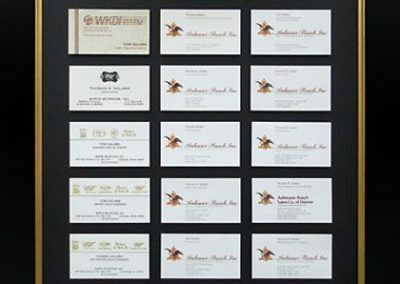 Call us today at 630-893-4390 or email us at info@mframing.com and give your business a fresh new look. 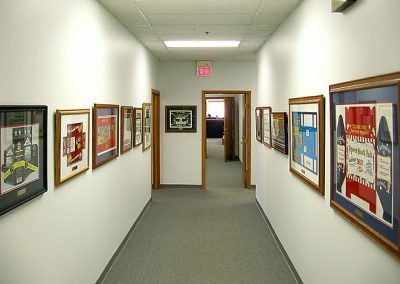 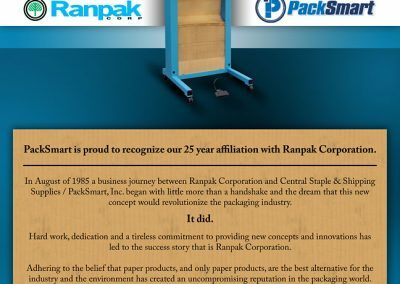 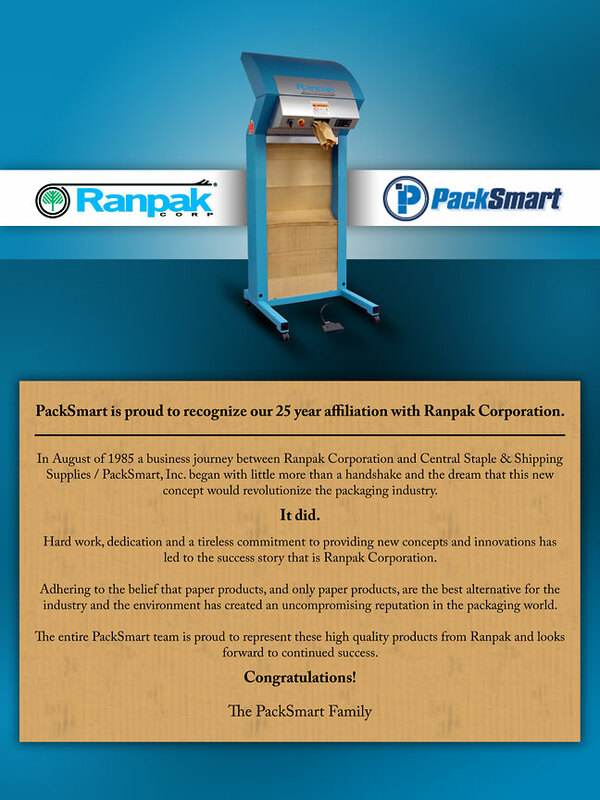 * We know deadlines are important to your company’s success. 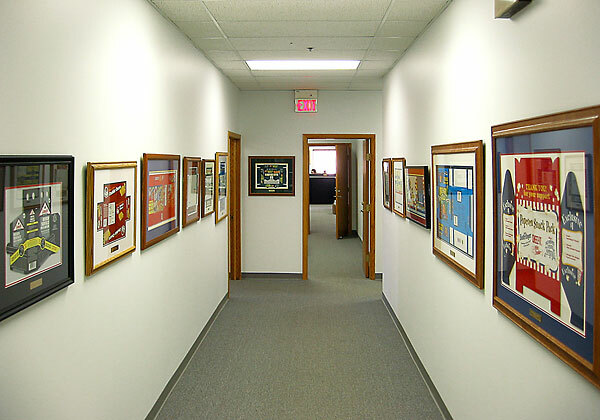 We offer rush services to meet your expectations and project time frame. 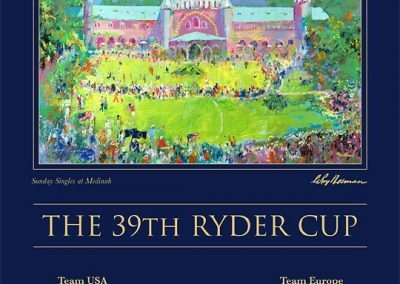 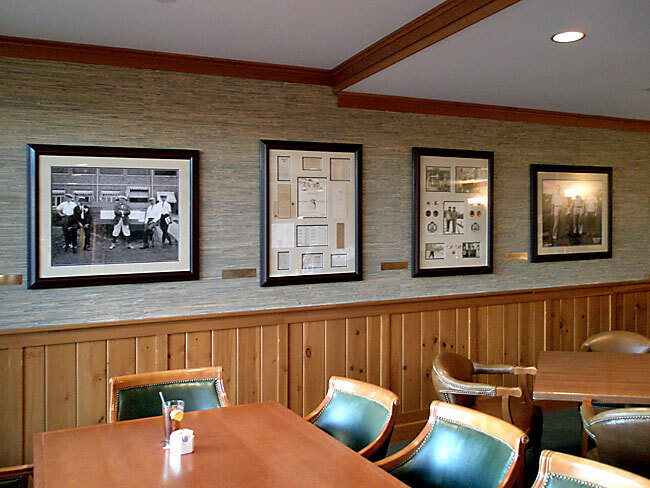 When Skokie Country Club needed to update their artwork, they turned to Masterpiece Framing & Imaging to take faded photos from the past and bring them to life. 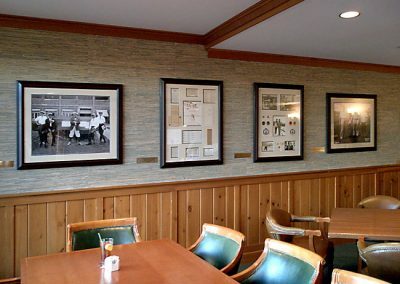 Masterpiece was able to digitally retouch and restore historic club photos to their former glory as well as preserve them to be enjoyed for years to come. 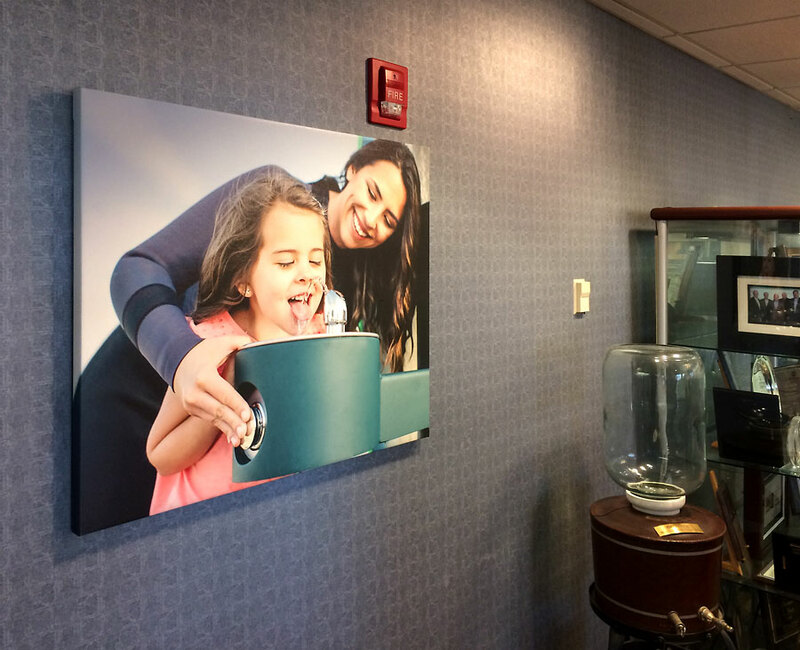 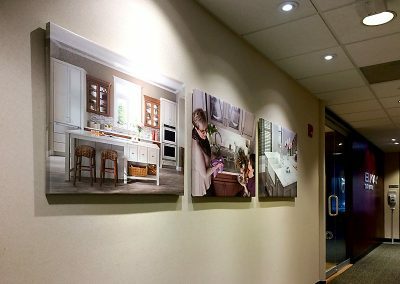 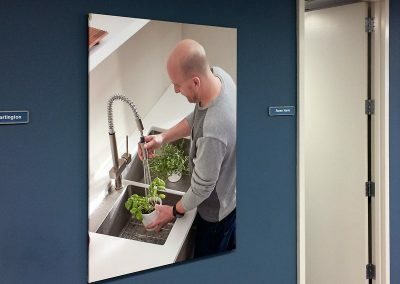 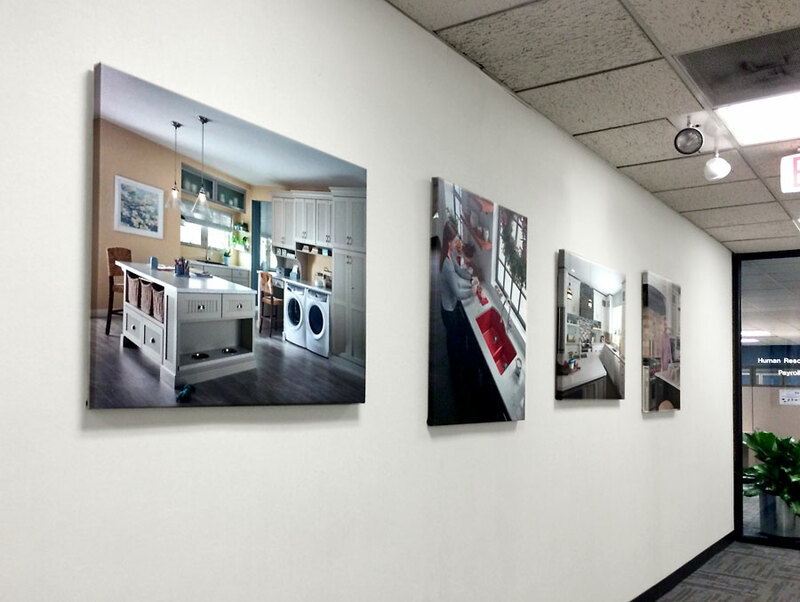 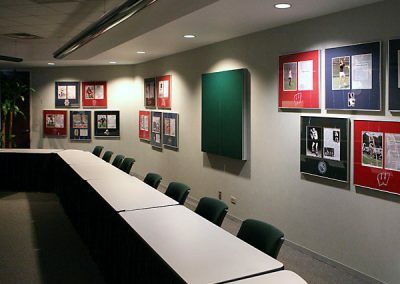 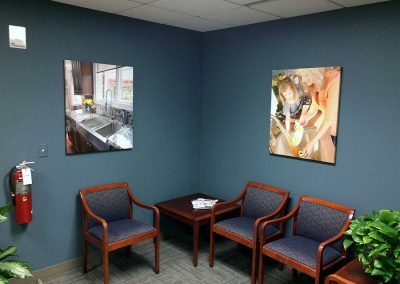 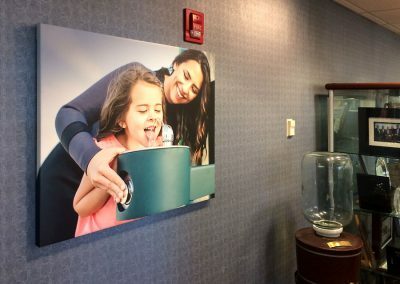 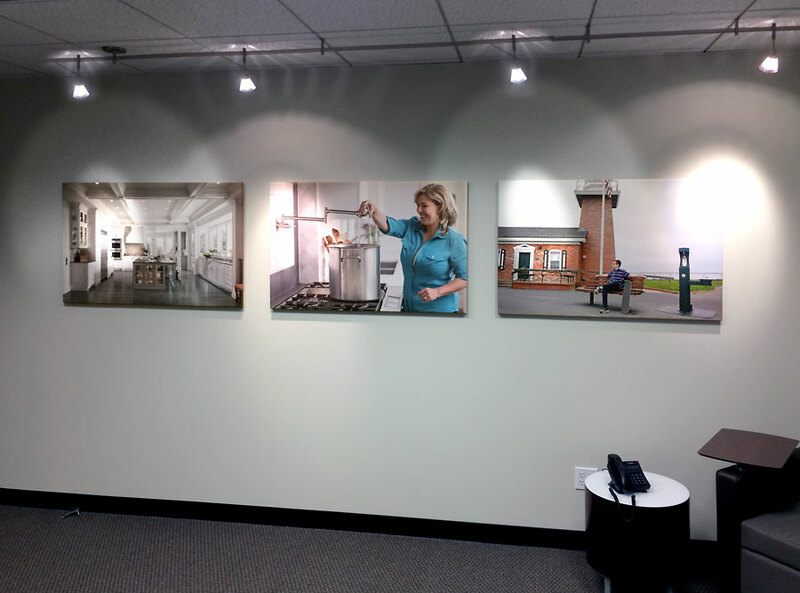 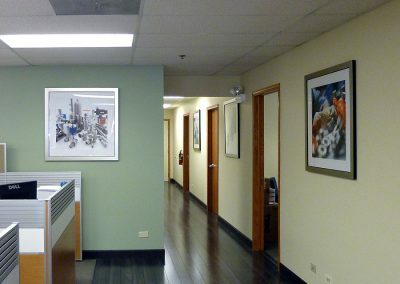 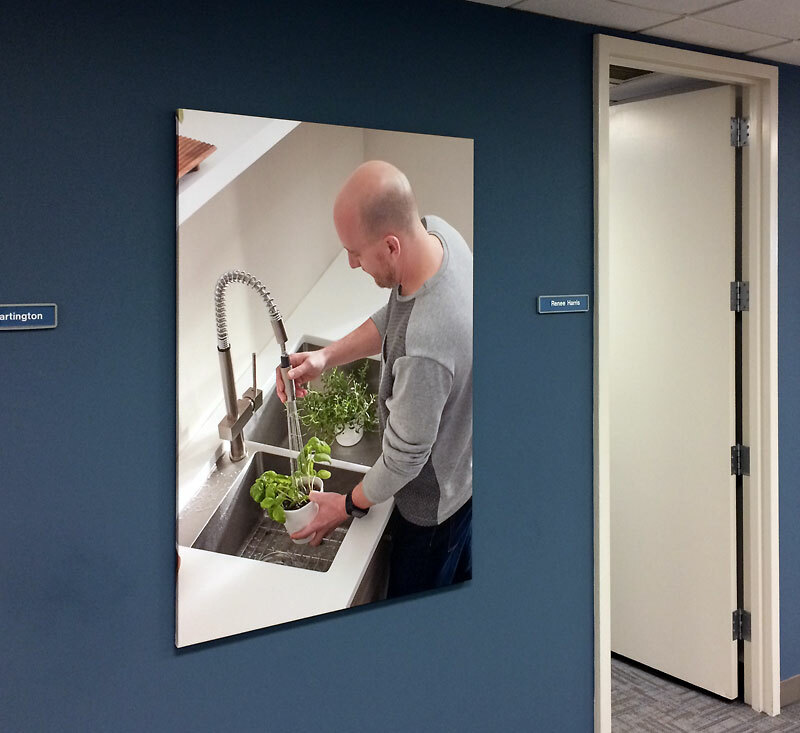 As part of a rebrand, Elkay tasked Masterpiece Framing & Imaging with printing and stretching a collection of seventy canvas prints to be displayed at their company headquarters in Oak Brook, Illinois. Images were selected, resized, and digitally color-corrected by Masterpiece. 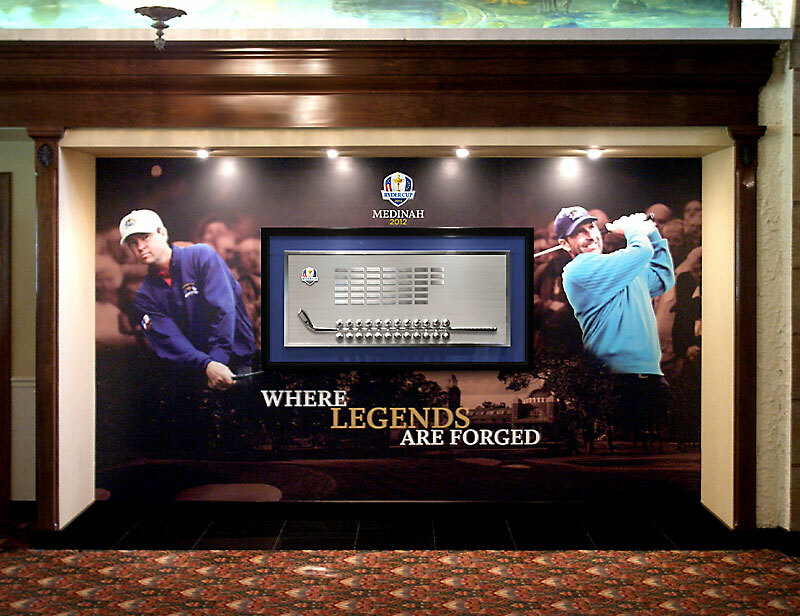 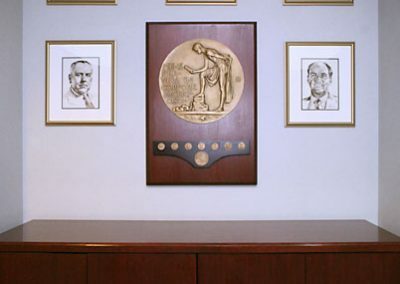 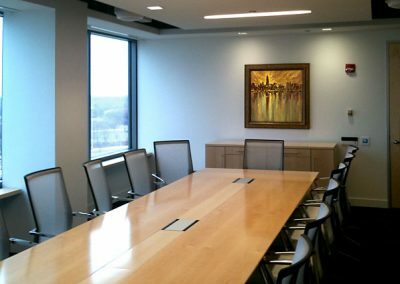 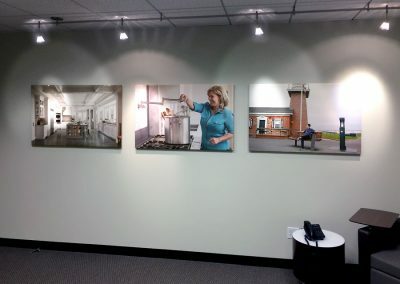 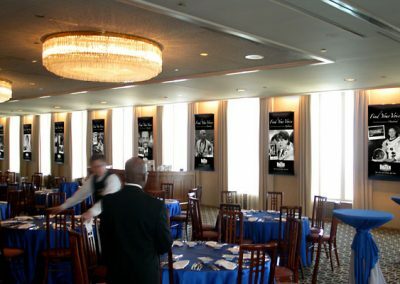 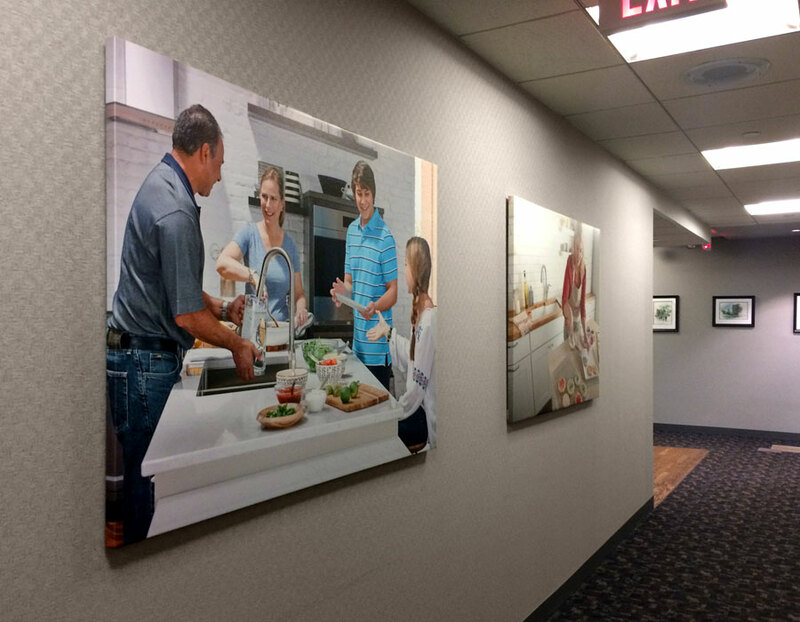 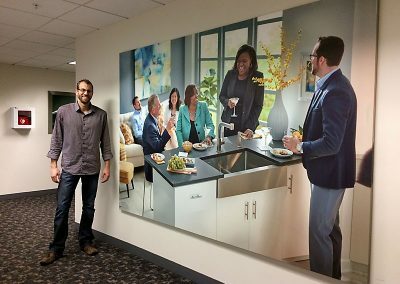 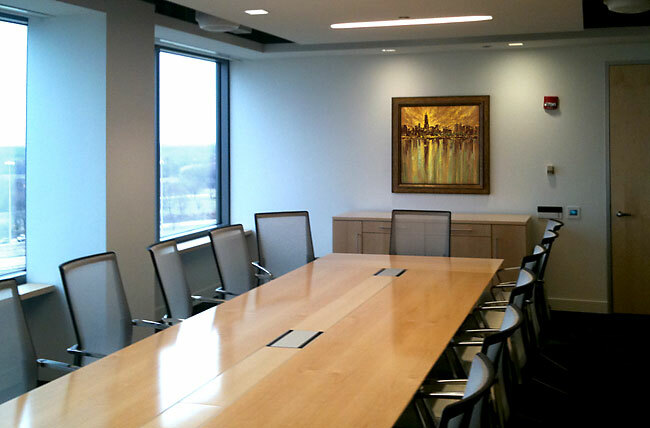 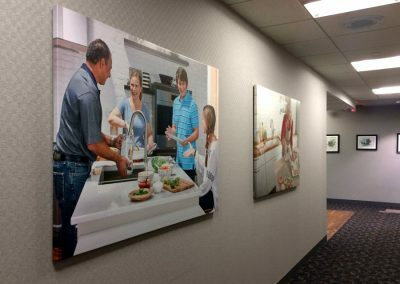 After production was complete, Masterpiece installed the images throughout two buildings in conference rooms, lobbies and hallways. 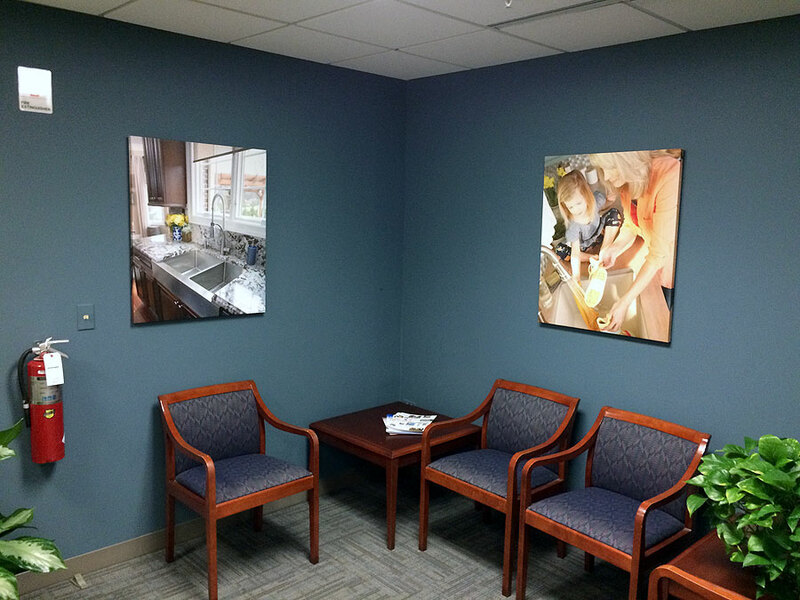 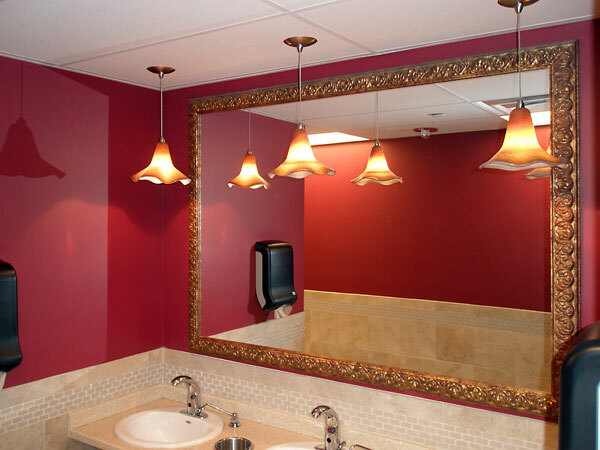 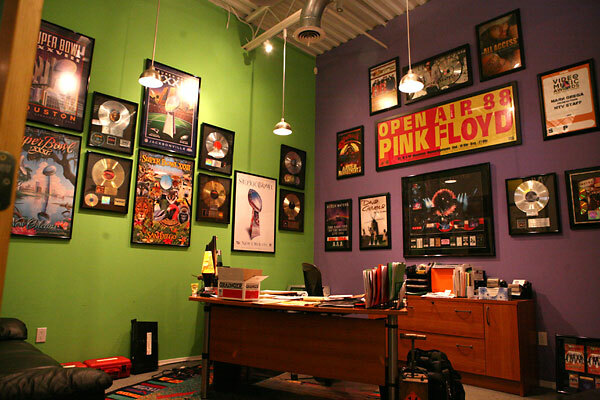 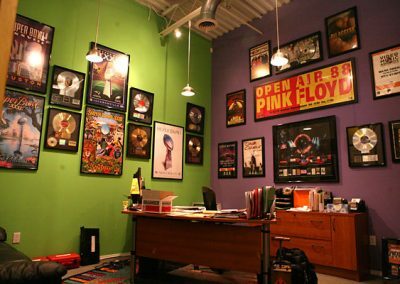 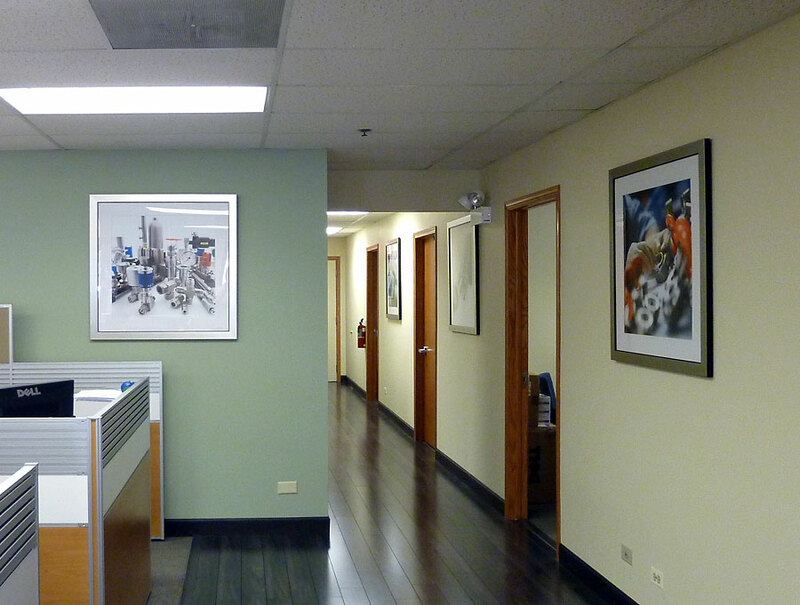 The end result was a polished, colorful working environment to be enjoyed by employees and visiting clients. Electri-Flex knew as their 60th Anniversary approached, they needed to honor their company’s legacy. 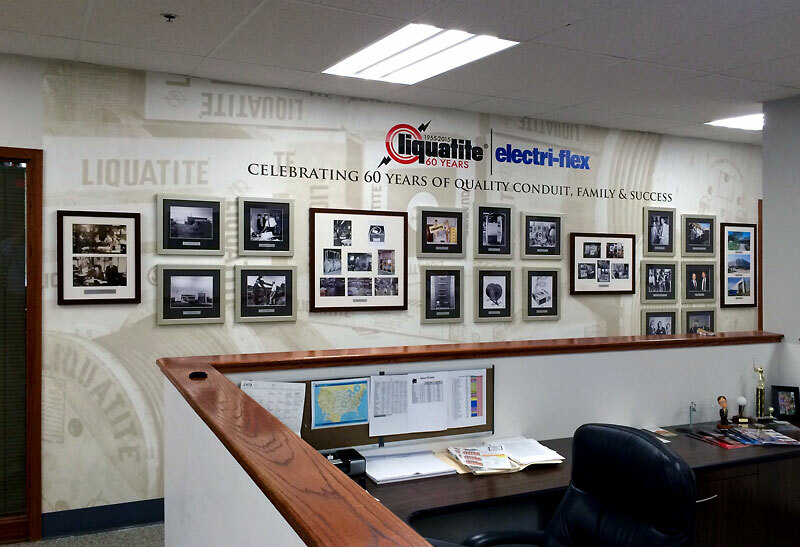 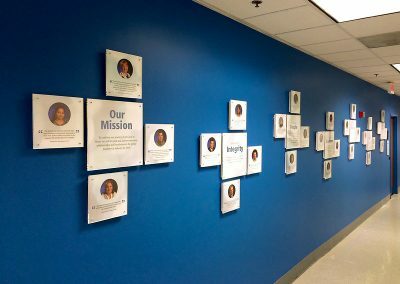 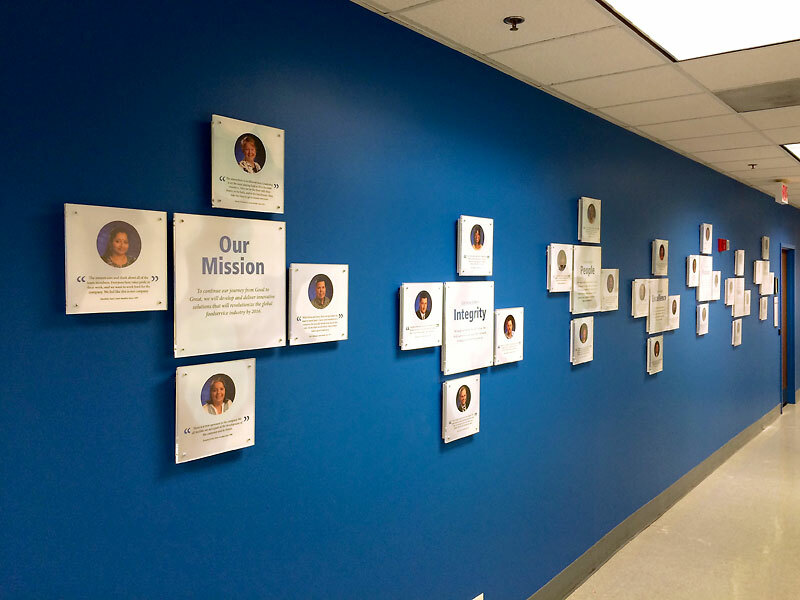 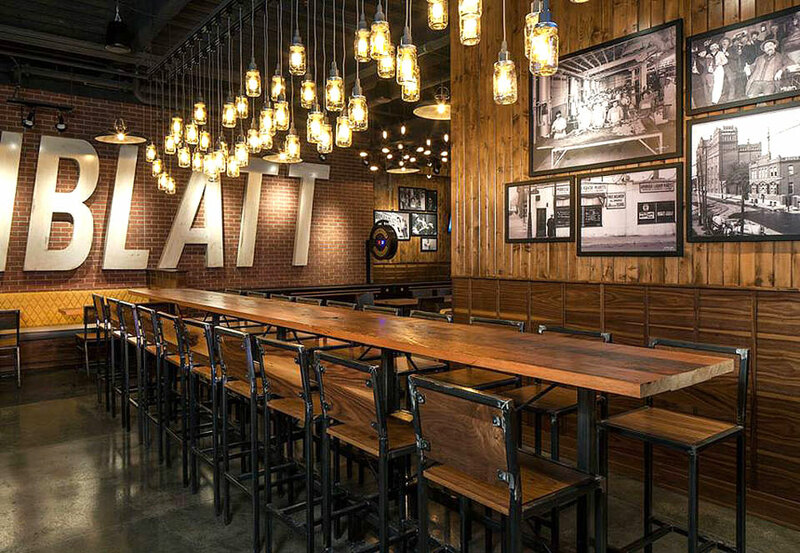 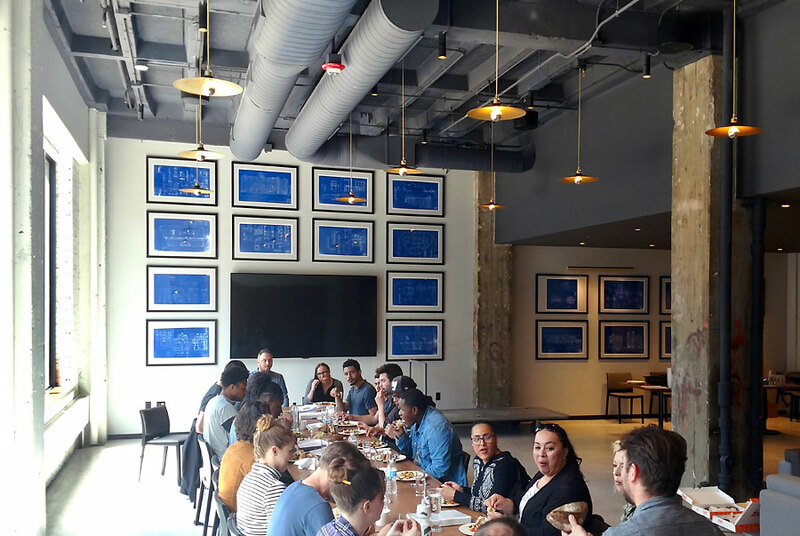 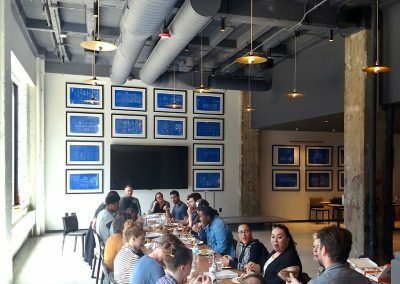 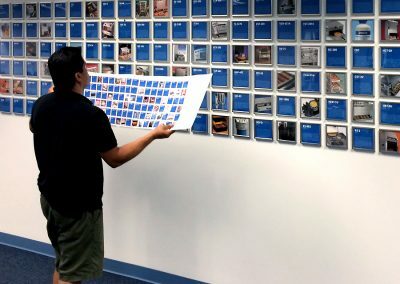 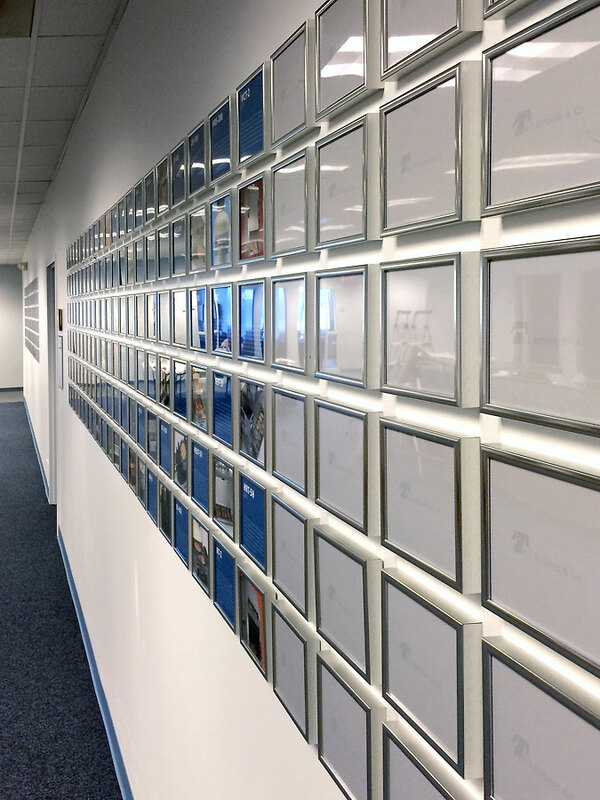 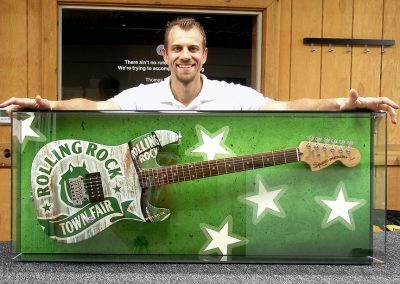 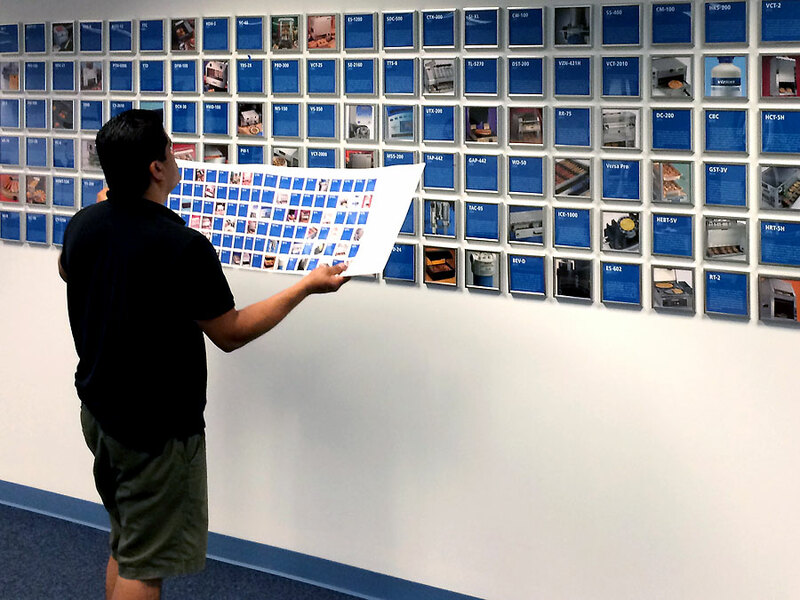 Having partnered with Masterpiece Framing & Imaging in the past, they reached out again to discuss the biggest project they’ve created together yet: a custom mural with framed photographs highlighting their company’s history. 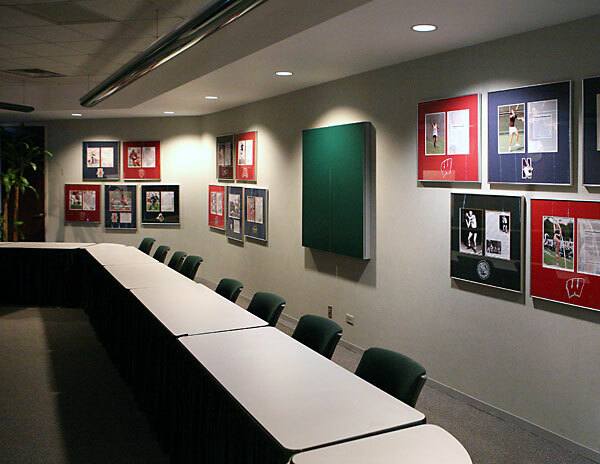 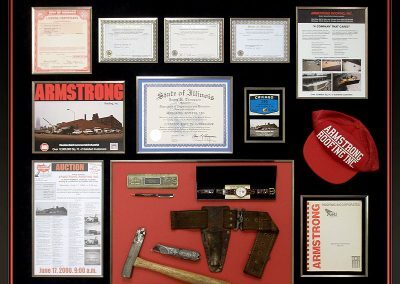 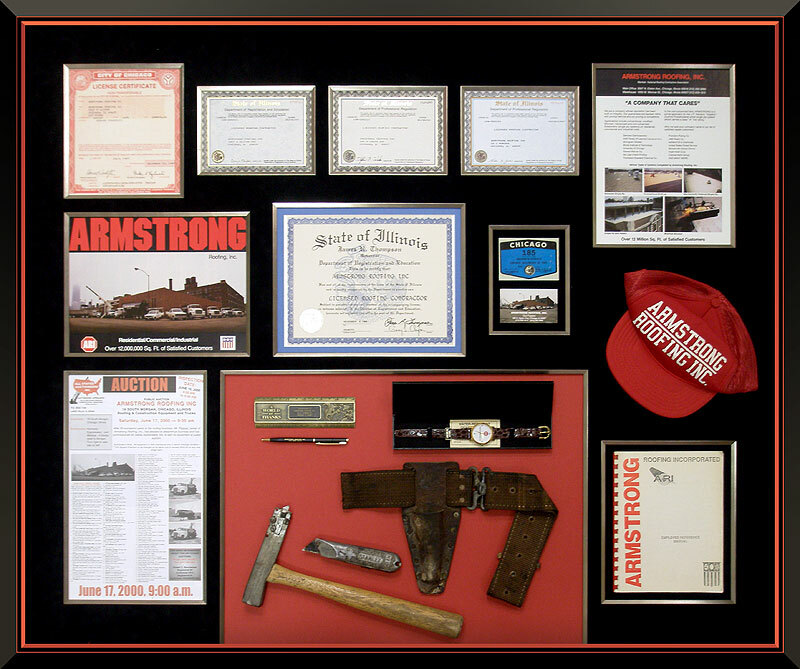 The Big Ten Conference has had an on-going working relationship with Masterpiece Framing & Imaging since the early 2000’s. 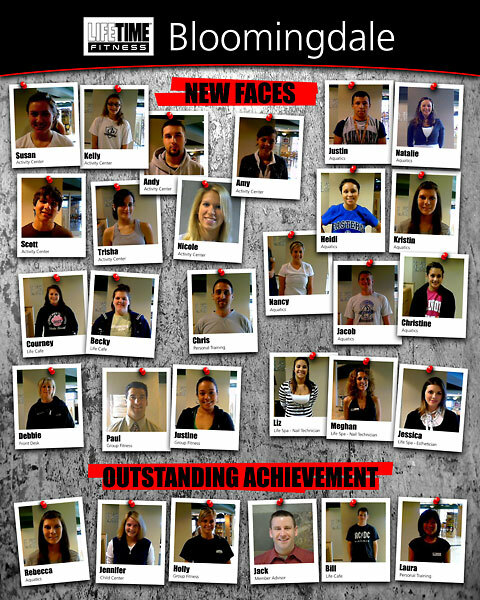 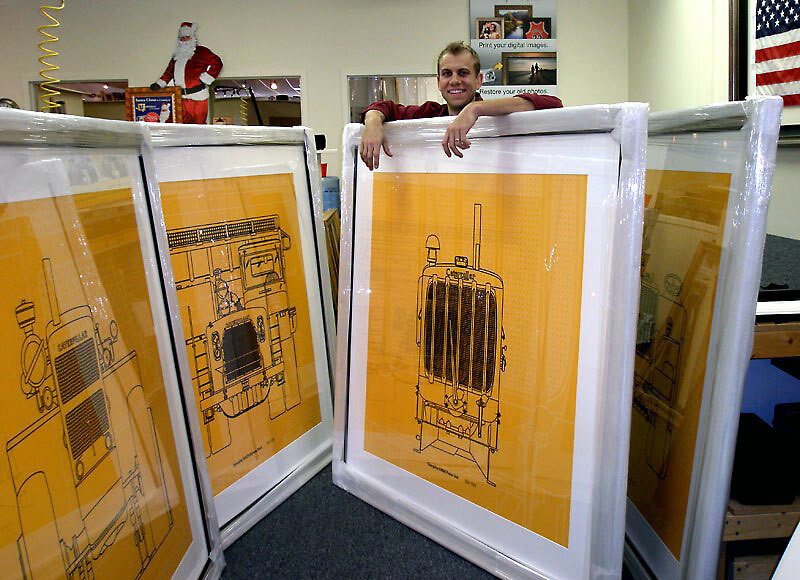 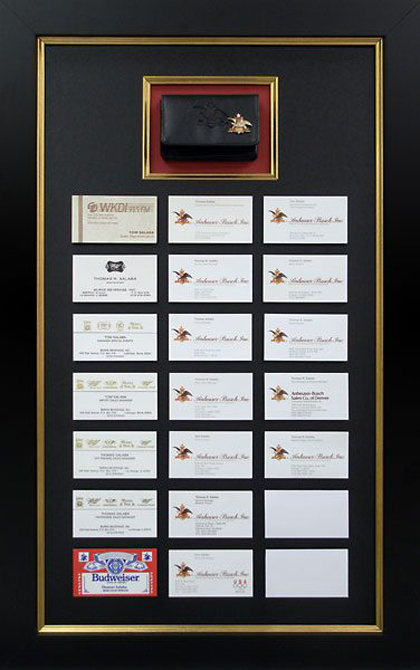 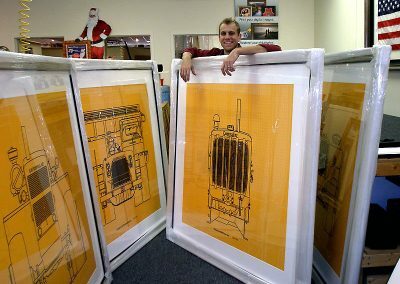 Masterpiece has designed, printed and framed thousands of images throughout the years of working together. 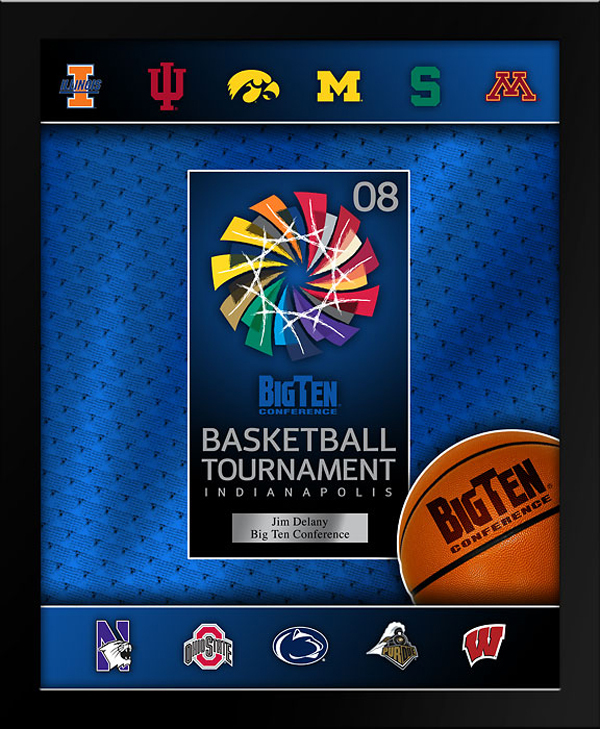 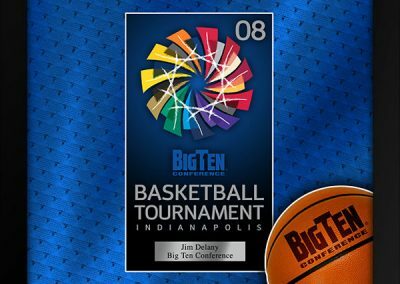 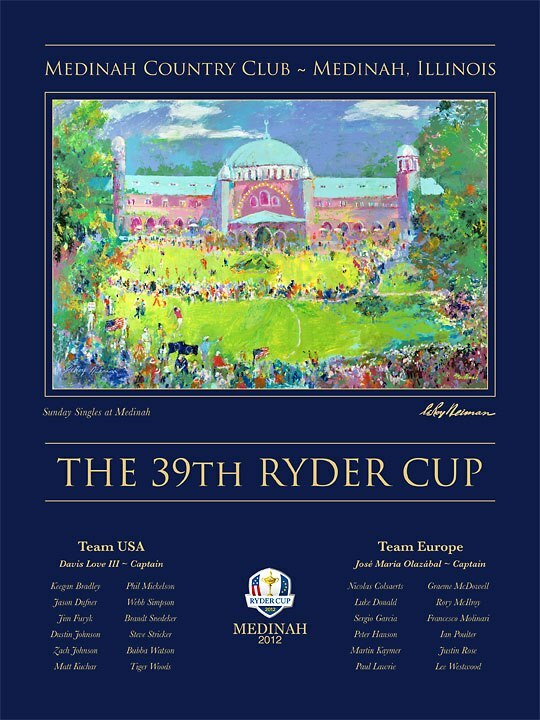 Masterpiece has assisted the Big Ten Conference with framing artwork, decorating their headquarters building, designing promotional posters for events and creating custom gifts for Big Ten sponsors.